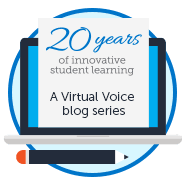 Choosing to homeschool your student with FLVS Flex is a big decision. However, knowing the facts can put a family’s mind at ease as they choose a learning environment that is best for their student. Below are three common myths about home education with FLVS Flex. Myth 1: Since they don’t get a diploma, homeschoolers can’t go on to college. When home education students graduate from high school, it is true that they do not earn a traditional public high school diploma and there is no graduation ceremony. However, that does NOT make their graduation less meaningful! Home Education students can graduate with a homeschool affidavit that is signed in front of a notary by their parent per the Florida State Statues of Home Education. Homeschool families may also elect to create their own keepsake certificate or register with an umbrella school that issues diplomas as an independent, overseeing educational institution. It is possible for home education students to go on to college if they meet the college/university requirements for admission. Almost all colleges/universities will accept the student’s official transcript, tests scores (SAT/ACT/PERT) and homeschool affidavit for admission. (Since FLVS Flex is an accredited Florida public school curriculum provider, the school can provide official transcripts; however, Flex transcripts will only show courses completed in the Flex program). FLVS Flex boasts homeschool students who have been accepted to Stanford, Purdue, Wake Forest, Vanderbilt, University of Georgia, Oklahoma, University of Florida, Florida State University, and so many more! Families are encouraged to check out the admissions websites of the colleges/universities they are interested in to learn more about how home education students are admitted! Myth 2: Universities don’t want homeschoolers who take online courses. To the contrary, learning online is a skill. As our education system moves more and more towards online learning, universities want students to know how to be motivated, independent, and organized leaners. In the state of Florida, public school students are required to meet the Digital Learning Act which can be completed by taking at least one online course to graduate. This requirement ensures students are prepared to continue their education, which will most likely include learning online. Universities across the nation have even encouraged students who need to meet NCAA eligibility to take FLVS Flex core courses as they are widely respected by university admission and NCAA. Myth 3: Homeschoolers aren’t as well rounded as others. Having flexibility in online learning affords students to plan their days using all available hours! Many of our FLVS Flex students enjoy volunteering, participating in internships, training for their sport, running their own business, and more, during times when the traditional school day may be happening. In 2014, FLVS surveyed more than 900 of its home education students and 61 percent noted moving to home education/FLVS Flex for flexibility in their education. With this flexibility, students can make themselves even more competitive to colleges/universities by focusing their time on a passion that sets them apart! 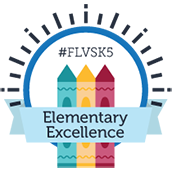 If you choose to homeschool your student with FLVS Flex, you can feel confident that your student is receiving a quality, innovative, and accredited education that will make him/her competitive in all future endeavors! To learn more about home education in Florida, check out the Florida Parent Educator Association at www.fpea.com. To sign up for FLVS Flex, visit www.flvs.net. This entry was posted in Homeschool Edition, Parent Edition, Student Edition and tagged Choosing to homeschool, Do Homeschool Students Receive a Diploma, FLVS Diploma, FLVS Flex vs Full Time, FLVS Homeschool, Free Homeschool Curriculum, Home Education, Homeschool Advisement, Homeschool College Acceptance, Homeschool College Admission, Homeschool College Admissions, Homeschool Diploma, Homeschool Families, Homeschool Myths, Homeschool Questions, Homeschool with FLVS Flex, Homeschooling with FLVS, Online Home Education on June 20, 2018 by Anne Flenner. Thank you, Anne, for addressing these three big misconceptions about homeschooling. As a former homeschool mom/teacher (just finished my 17th year last summer), I wanted to add that many area support groups have graduation ceremonies that homeschoolers can participate in. FPEA also has a large graduation ceremony each year during their convention in May. My daughter participated in the Tampa Bay Homeschoolers’ Graduation ceremony and my son opted not to participate in one, so we did a small family ceremony at home. That’s another great thing about homeschooling, students can graduate, or move on, in a way that works best for them. Hi Wendy! Yes, I love this! Thank you for responding and adding this! I love that home ed worked so well for your family! Hello, I’m a senior and not too sure I want to go to college or if I do not right out of high school. My question is is the certificate given to a student who has completed their high school credits through flvs equivalent to the traditional high school diploma in terms of employers. Also if anyone knows the specific reason why you can not graduate from flvs flex I would really like to know. This is an online program that allows adult students (age 18 and above) to earn their needed high school credits on line. Many Florida school districts use them. To complete high school, students may opt to take the GED Exam. Hi Alyssa! I hope all is well! Great question! When homeschool students graduate, they have a home school affidavit signed in front of a notary by their parent/guardian stating that they have graduated. When students apply to a job, they will provide this to the employer! Just as a traditional diploma has a student’s name, a graduate date and a school on it, so does the home school affidavit. It is just a different way of graduating! In my 8 years working with Home Education students, only 1 time did a student come back to me and state that an employer would not accept the home school affidavit. The student really wanted the position so she choose to take the GED to earn a State of Florida diploma so that she could start the job of her dreams! Thank you for addressing these myths about homeschooling.As a seventh grader that is homeschooled I have heard these at least once and I became very scared questions like “If I can not go to college how will I get a good job?”started going through my head and it would take a really long time to calm down.But now I know. My daughter wants to start this semester with Flex. Question on graduation, can they enter back into a public or charter school last semester of senior year, or does it have to be the whole year? HI Vivian! I hope all is well! Every county in Florida is actually a bit different in regards to this! Some counties will allow you to come back in 2nd semester, others would like for the student to return at the beginning of the 12th grade year! The best thing to do is to contact the local school where you think your student may go back to and ask them directly! Hope this helps! Thanks! i would like to know if you take FLVS full time do you get a traditional high school diploma or the online kind? You receive an official printed diploma and are invited to attend our annual graduation ceremony in Orlando. So If I am in FLVS Flex I will still be able to graduate, I just don’t get a normal diploma Like I would in Full time and wouldn’t have a ceremony? In addition, Will I receive any type of paper saying I finished HS? Hi MaKayla! That’s correct. FLVS Flex doesn’t currently provide any type of formal document upon completing your high school requirements, but students can use the homeschool affidavit for their personal records to show they finished high school or print their own keepsake homeschool certificate. Am I able to do FLVS flex for the rest of this year and then enroll for FLVS full time for the 2019-2020 school year? Yes, that’s an option! You can subscribe to be notified when enrollment opens for FLVS Full Time at https://flvs.net/full-time/more. My students did flex for the second half of 8th grade and all of 9th then decided to go back to brick and mortar and now are concerned about the standardized testing they didn’t do. Will they be able to continue brick and mortar for junior and senior year and graduate without those tests? I’ve asked many people and can’t get a straight answer. Hi Tabatha. They may be required to take End-of-Course exams for certain subjects, depending on the courses they took in 9th grade. The counselor at your physical public school should be able to help answer this question for you! Thank you Anne! This whole thread of questions and comments is very helpful! I’m wondering…when Homeschool FLVS students take a class that would require an EOC for graduation in traditional public school (Civics, Algebra 1, Geometry, etc)…can they go to a local brick and mortar school and take the exam after finishing the Homeschool FLVS online course? My daughter will take Civics and Algebra 1 next year (7th grade), but the plan is to enroll her back into traditional public high school when the time comes. If she graduates from that high school, will they require her to go back and take the Civics and Algebra 1 EOCs in order to get a diploma? She will take those classes in 7th grade. :-/ Thanks so much! !